A lot has happened since the Shabbona Fishing Derby. 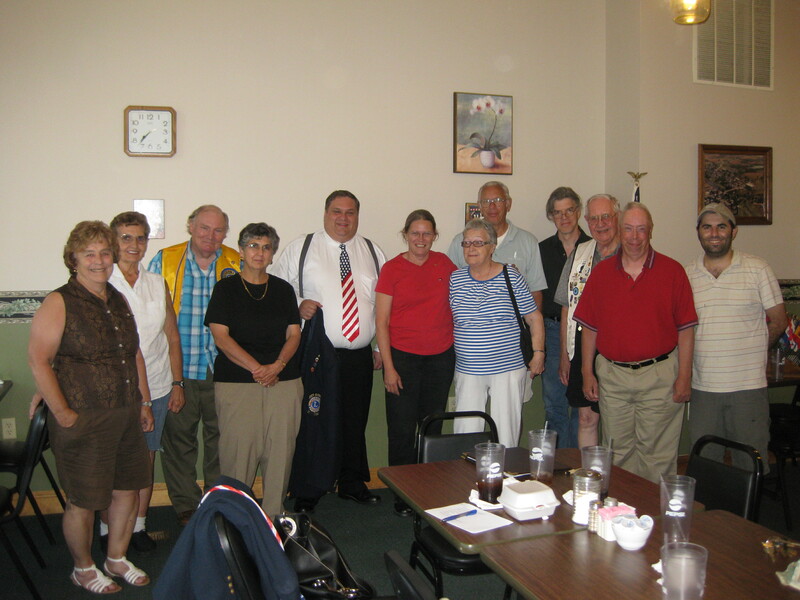 On July 21, District Governor Ron Fruit and I went to our first club visit in Hanover, IL. We were greeted warmly and had a blast talking with them about Ron’s theme for the year (Let Your Passion Lead), President Sid Scruggs III’s theme (A Beacon of Hope), and their current service projects. Ron stressed that through our passion for service we can make a difference in our communities. So, Ron joined the two themes together by stating, “Let Your Passion Lead You to Become a Beacon of Hope.” Throughout the year, Ron will stress this theme throughout the district in all our club visits. When we left Hanover Lions Club, we felt completely uplifted and happy to be a lion. 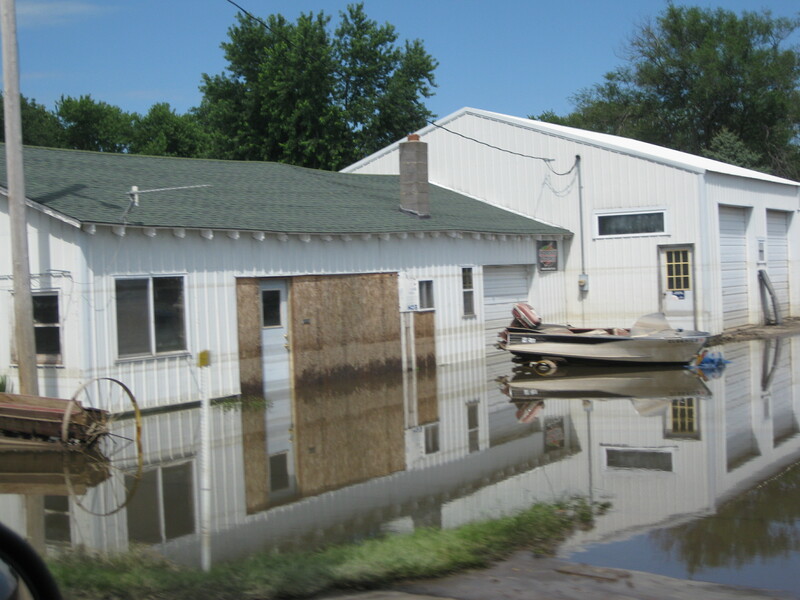 When the flood rains hit our district on the 23rd and 24th of July, Ron received calls from Pearl City, Leaf River, and Freeport asking for aid in supplying drinking water and cleaning supplies to help those that were displaced from their homes due to flooding. Over 2,000 people were said to be displaced. Ron immediately set to work in getting a grant from LCIF. To help matters along, Ron and I went to Pearl City and took pictures of the damage after the water started to recede. In record time, we received a grant from Lions Clubs International for $5,000. Thank you LCIF! While working on that, we also had our second club visit in East Dubuque. Again, we felt completely welcomed and emphasized service. We also learned more about their service projects and affirmed our passion for being lions. If anyone is interested, they are having a dinner auction this Friday, August 13th at D’s Place on Hwy 20 in East Dubuque, IL at 6pm. Some auction items include golf outings, restaurant meals, gift certificates, hotel stays, & more! Next step, our first Cabinet Meeting…well mine actually. 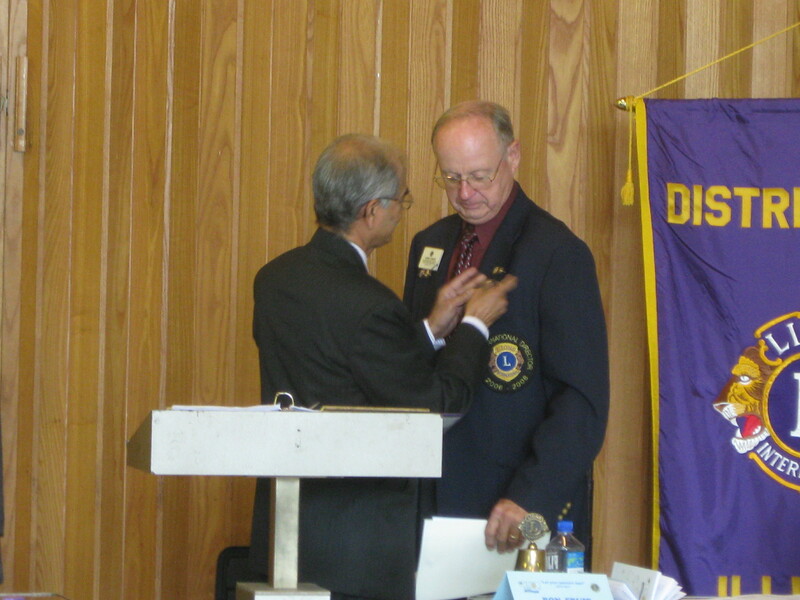 Ron’s first as District Governor. It started a little rocky, but straightened out once PDG Austin D’Souza presented PID Russ Sarver with a prestigious Humanitarian Award from President Obama. 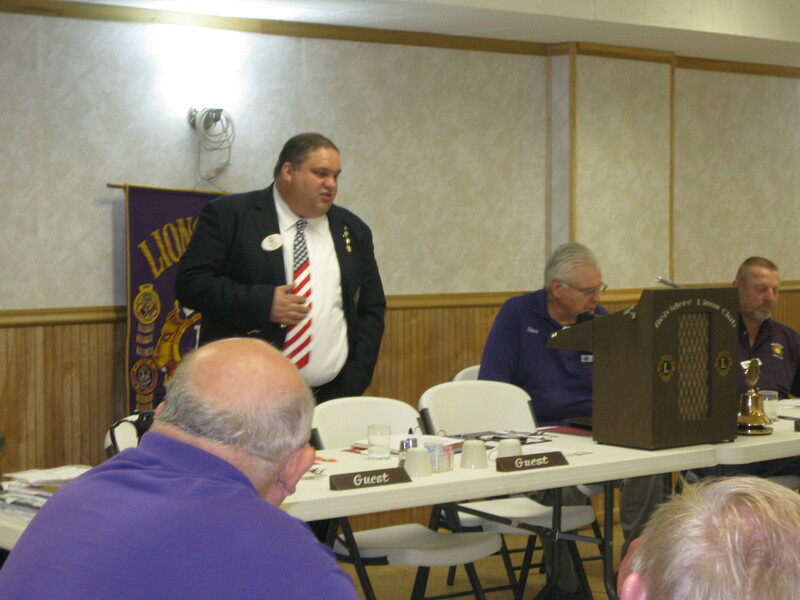 Then, PID Bud Wahl talked to the Cabinet about his campaign to run as Second Vice President of Lions Clubs International and asked for our support during state convention. The Cabinet meeting continued on as scheduled after that, then adjurned to dinner, which was catered by the Leaf River Lions Club and it was delicious. Thank you! 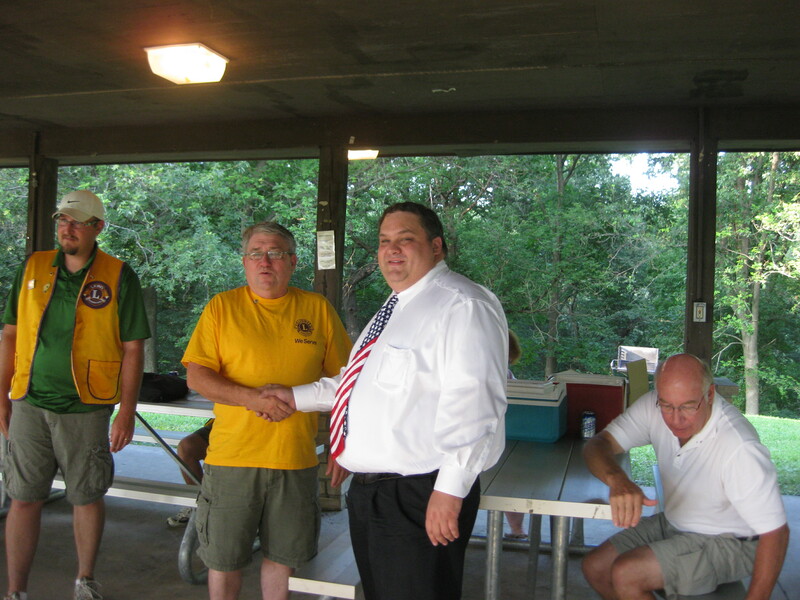 On August 3, we went to our third club visit in Belvidere, which really felt like returning home for me because I grew up in Belvidere. Ron encouraged service projects and even suggested giving the scholarship winners T-Shirts announcing that their scholarships came from the Belvidere Lions Club to wear for the Boone County Fair this week, August 10 through the 15. The Belvidere Club loved the idea and some thought Ron was a great speaker. We might even help at their food stand if we manage to get there sometime this week. Of course we will be there, since I have never missed the Boone County Fair. Besides, we are helping with the pedal pulls Sunday morning. We also have a Council Meeting this weekend, so we will just make it to the fair Sunday morning. I’m hoping to go sometime this week after work with my nephew. So, if your interested come on out to the Boone County Fair in Belvidere, IL on Rt. 76 to support the Belvidere Lions Club. 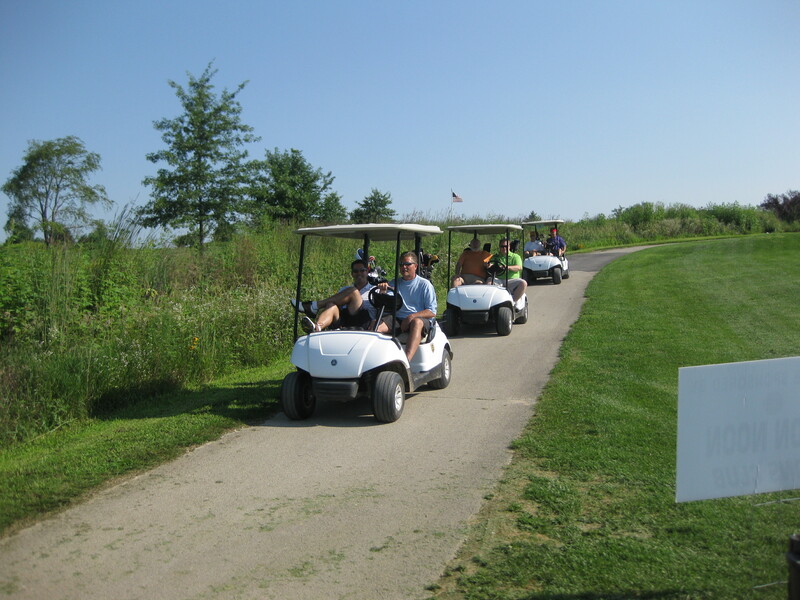 On August 5, Ron went to Lena for the district golf outing. I could not miss work that day, but everyone said it was a perfect sunny, breezy day to go golfing. I’ve had people tell me how much fun they had, even Ron took the time to play even though he hasn’t golfed in about five years. Now, this week I also have an electronic newsletter to create for the month of August. I received rave reviews on my newsletter from last month, so I’m hoping not to disappoint anyone. If you know of anything you think should be in the District 1D newsletter this month, let me know. Please feel free to comment. I love to chat with people.